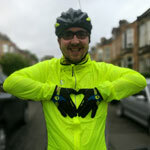 If you’d like to share your time, energy and love of cycling, we’d love to hear from you! 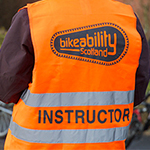 Bikeability instructors play a huge role in supporting children to grow their confidence, develop their skills and to give cycling a go. Across the country, parents, grandparents, teachers, school staff, carers and community members are taking advantage of our free training so that they can spread the love of cycling to the next generation. Every year we organise our iconic Pedal for Scotland ride from Edinburgh to Glasgow and we couldn’t do it without volunteer power. There are lots of roles you get involved in: being part of the start team setting riders off on their cycle, handing out rider packs at the start line, marshalling, giving out much-needed cake at the feed stalls or congratulating the riders as they cross the line and handout their well-deserved medals. 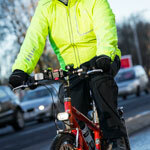 Join Sustrans to spruce up the National Cycle Network, lead walks or rides, or support biodiversity along the routes. Join 10,000 other volunteers and become a Walk Leader. Lead rides, fix bikes, set-up a new cycling group or take part in the Big Bike Revival. Give old bikes a new lease of life.